The Treaty Commission's impartiality is reflected in its composition and the way it makes decisions. Commissioners do not represent the Principals that appoint them, but instead act independently. Decisions require the support of one appointee of each of the Principals. The First Nations Summit elects two Commissioners and the federal and provincial governments appoint one each. The four part-time Commissioners serve two-year terms. The Chief Commissioner is appointed to a three-year term by agreement of thePrincipals. In the absence of a Chief Commissioner, the four remaining Commissioners unanimously agree to appoint one of them to act as Chief Commissioner. Click the Commissioner’s image to read their bio. Francis Frank was elected Commissioner by the First Nations Summit for a second two-year term beginning in March 2017. He is from Tla-o-qui-aht First Nations on the west coast of Vancouver Island and is a trained social worker with a BSW from the University of Victoria. Prior to joining the Treaty Commission, Francis served his Nation in a variety of roles, including as Chief Councilor for fourteen years, negotiator for ten years, and band manager for six years. He has extensive experience in negotiations, and was directly involved in the negotiation of the first interim measures agreement, as well as the first incremental treaty agreement in British Columbia, successfully securing land and finances for his nation. 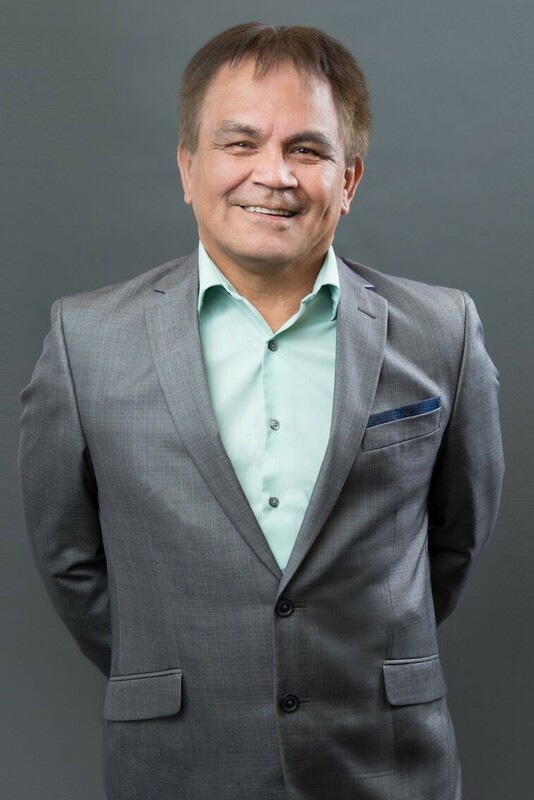 Clifford White (Nees Ma'Outa) was elected by the First Nations Summit for a two-year term beginning in March 2019. Clifford has been Chief of Gitxaala Nation since 2015. Angela Wesley was appointed Commissioner by the Government of British Columbia in December 2018 and is currently serving a two-year term. She is a citizen of the Huu-ay-aht First Nations (Nuu-chah-nulth), one of five First Nations implementing the Maa-nulth Final Agreement. Since establishing Wes-Can Advisory Services in 1992, she has worked extensively with First Nations throughout BC, providing advisory and facilitation services in the areas of strategic planning, community development, communications, community engagement, and governance capacity building. Angela has remained actively involved in the implementation of Huu-ay-aht’s treaty and constitution, having served as Speaker (Legislative Chairperson) for the Huu-ay-aht First Nations Legislature and Annual People’s Assemblies and serving as the Board Chair/President for the Huu-ay-aht Group of Businesses since 2012. She serves on the Board of Directors of the Toquaht First Nation Holdings Board, the New Relationship Trust, and the Land Title and Survey Authority of BC and previously served as Executive Member and Chair of the Nicola Valley Institute of Technology and on the Board of Directors of the Royal British Columbia Museum. Angela resides in her husband Gerald’s traditional territory of Kitsumkalum in Terrace, BC and enjoys the company and teachings of her 11-year old grandson Drakon every weekend. Mary-Ann Enevoldsen was appointed by the Government of Canada to a two-year term beginning in May 2018. She is from Homalco First Nation, and was the first woman to be elected Chief, a role she held for three years after serving as councillor for 11 years. Since 1993, Mary-Ann has been involved in treaty negotiations and has extensive experience in various roles, including negotiating shared territory agreements with First Nations neighbours. She is an advocate for cultural revitalization and ensuring Homalco traditional knowledge and practices are passed down to the next generation. Mary-Ann is married to Marcus Enevoldsen and has two sons and five grandchildren.